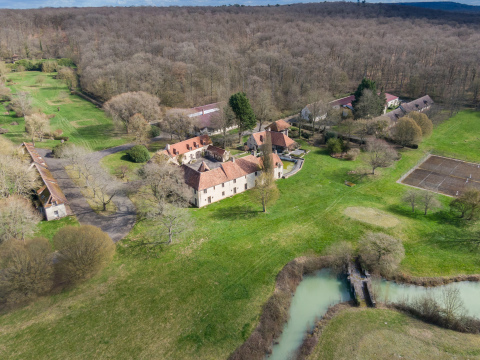 Leading global marketplace Concierge Auctions is to sell Haras de L'Ermitage, one of the most prestigious rural estates in the region of Normandy known as the "Golden Triangle," an area renowned for its race horse breeding and booming tourist industry. With 275 acres (111 hectares) of land, 46 loose boxes, stables, indoor arenas and additional farm buildings, the estate is ideal for equestrian use or for development into a country hotel or resort. Initially listed at €15 million, the property will sell without reserve to the highest bidder on 10 May. Bidding will open on 7 May. Paulina Kimbel, Vice President of Business Development at Concierge Auctions, comments: "It is very unusual for Normandy estates of this size to be brought to the open market. This is a once in a lifetime opportunity for buyers to be able to name their price for a development opportunity of an impressive 275 acres. The estate has huge potential for commercial use, either as a country hotel, golf resort or equestrian facility."